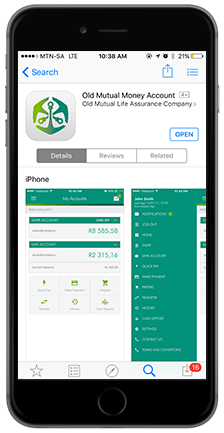 Easily manage your personal finances with the new Old Mutual Money Account app even when on the go. Want instant access to your SWIPE and SAVE accounts? Simply download the app and easily perform transactions related to payments, make transfers, view your balances and manage your beneficiaries. 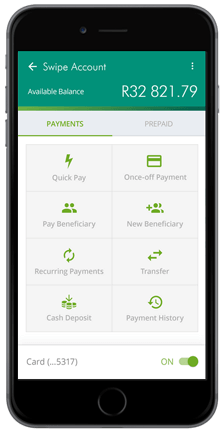 The Money Account Banking App will allow you to manage your money even while on the move. *The app is not supported on Windows mobile phones, BlackBerry, Android 1.0 - 4.0, basic feature phones, J2ME advanced feature phones, Tablets/iPads. Simply search for Money Account in your app store, select the download option and complete the quick registration steps. You'll soon be ready to bank on the go! Get the Money Account App for your smartphone today.